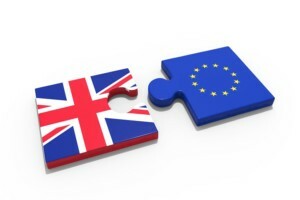 The CPMR Atlantic Arc and North Sea Commissions have established Brexit task forces to follow the negotiations and feed into the CPMR’s overall reflection on the Future of Europe. The Task forces have been set up within these Commissions because they involve the regions that will be most affected by the UK’s decision to leave the EU. They will focus on the potential impact of Brexit on relationships, links and co-operation activities between regions, and the financial impact of losing the UK’s contribution to the EU on policies and priorities that matter to the CPMR’s member regions. They will also feed into the CPMR’s overall Reflection on the Future of Europe, providing evidence and information of note on the impact and implications of Brexit for regions. The Atlantic Arc Commission’s (AAC) Brexit Task Force was created by the Galicia Region, in Spain, during the last Atlantic Arc Commission General Assembly. It will inform its regions about Brexit developments, publish regions’ statements, and promote the Atlantic political presence in the Brexit negotiations. The Atlantic Arc regions have a legitimate voice in the Brexit negotiations. They have been able to forge complex and intrinsic economic, financial, tourism-related, scientific, educational and cultural links with UK regions, as shown in the AAC technical note. Regions are invited to contact the AAC secretariat (ander.albisu@crpm.org) to share updated analyses on the impact of Brexit on their regional territories. This evidence based work will be the basis for the development of an Atlantic declaration on Brexit which is planned for the end of 2017. The Brexit Task Force will benefit from the AAC Executive Secretariat’s participation in the institutional Atlantic Strategy Group (ASG), alongside national representatives from the UK, Ireland, France, Portugal and Spain. Thanks to its strategic positioning, the Secretariat will be able to update member states on regions’ concerns related to Brexit. The North Sea Commission’s (NSC) Brexit Task Force will be chaired by Nienke Homan, from the Groningen Region of the Netherlands. The decision was agreed at the NSC Executive Committee meeting in Southend-on-Sea on 24 March. This Task Force will follow the negotiations from a North Sea perspective, and feed in to CPMR’s Future of Europe process. The work will be coordinated with the group in the Atlantic Arc Commission. The North Sea region plays an important role in European external trade, transport, fisheries, and energy production. The region has strong internal links, and it is crucial that a Brexit deal will do as little harm as possible to future cooperation in the region. Last December, the North Sea Commission was invited to give evidence to the UK House of Commons Committee on Exiting the EU. Find out more about the CPMR response to the Brexit negotiations on our Forum on the role of regions in the future of Europe.